This is the the latest from the author of the Bandsaw Handbook, well known for being a great source of information. Mark sets out to explain everything you need to know about using a band saw covering saw tune-up, maintenance, cutting technique, jigs and fixtures, resawing and even making dovetails. Different blades and their uses are covered in detail. Tips for buying new or used saws is also included. 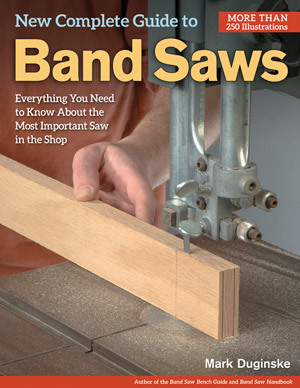 The Bandsaw Handbook is a valuable resource to have in your library. Experienced as well as novice woodworkers will benefit from this book.